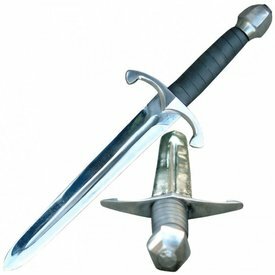 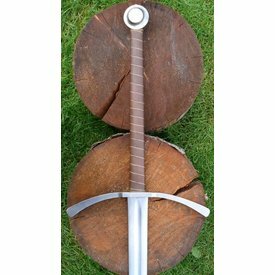 The lowlander was a type of two-handed sword that was used from the 14th century on in the Scottish lowlands. 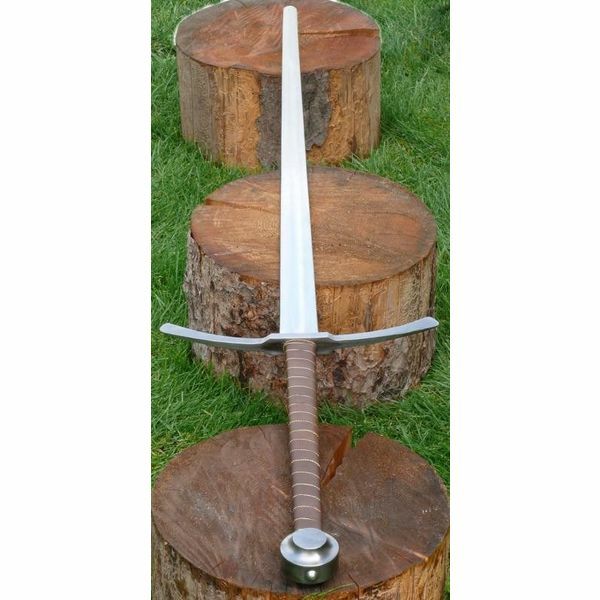 It served as an anti-cavalry weapon, but later it was also used to break through the pike lines. 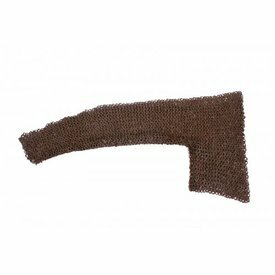 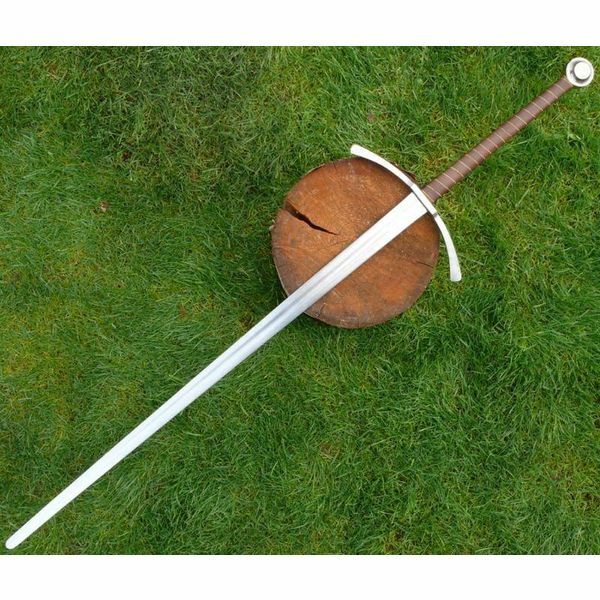 The length of this lowlander is 155 cm, with a blade of 109 cm and a cross-guard of 43 cm and it weighs approx. 3 kg.